It’s 4 in the morning. Your mind has taken to wandering about the vacation to the Bahamas that you’ve never taken, even after saving enough for the trip. These and other thoughts have been running through your mind since you laid down to sleep 5 hours earlier. And no matter how hard you try to sleep, your mind just won’t shut down. You are not alone. 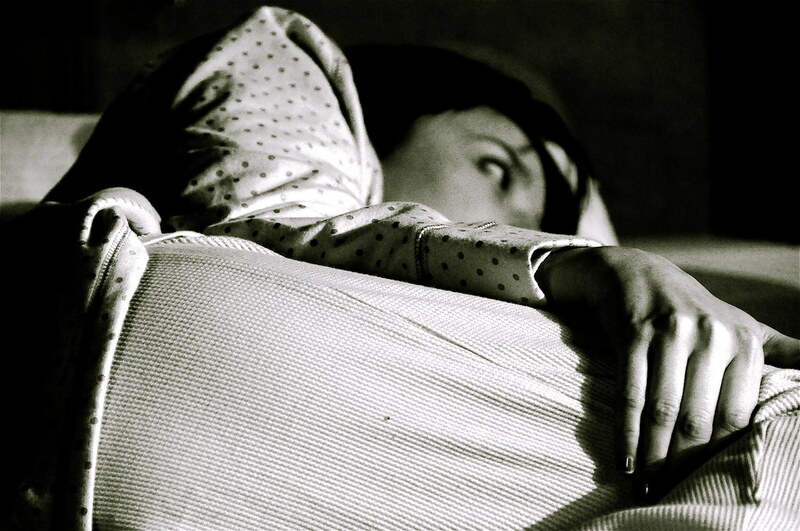 Sleeplessness and insomnia have become major health problems in the U.S. and around the world. The Center for Disease Control and Prevention (CDC) estimates that as many as 10% of the population suffer from chronic insomnia. Additionally, almost a quarter of Americans report not getting the 7-8 hours of recommended sleep at night. Many of the sufferers often resort to taking sleeping pills or specially prepared herbs to help fall asleep. However, in many cases, these interventions are usually not meant to be long-term fixes, especially when the lack of sleep is caused by things like being overworked and stress. There are a number of non-medical interventions that individuals can opt to use to help cultivate healthy sleep patterns. Some of the best are discussed below. A study conducted in 1985 found that people who often take hot showers before going to bed were more likely to fall asleep faster and improve overall sleep quality. Naturally, the brain triggers a sequence of reactions that initiate a drop in body temperature, which makes the body begin the shutdown process. When you get out of a hot shower, the cool-down you experience helps to induce natural sleep. Another study conducted by the Northwestern University found that previously inactive people who took up exercises at least four times every week reported sleeping better than before. Regular workouts, even mild ones, induce hormonal processes within your body that make you drowsy and more likely to sleep faster and better than if you were sedentary. Yoga and other forms of meditation are especially suited for individuals whose sleeplessness is associated with stress and mental restlessness. Studies have shown that meditation is very effective at improving the quality of sleep and fighting insomnia. Even simple meditation techniques, such as breathing exercises, can be effective at helping you sleep better. Eating heavy meals just before bedtime will force your body into dietary overdrive, which will make it that much harder for your body to shut down. Stay away from heavy and spicy food at least 2 hours before bedtime to help your body concentrate on shutting down instead of digestion. Taking that evening cup of coffee or tea will make it harder for you to fall asleep at night. Caffeine, the active ingredient in these beverages, stimulates your central nervous system for over 5 hours after consumption. By avoiding tea, coffee, soft drinks, chocolate, and other caffeinated beverages anywhere after lunch, you can significantly increase your chances of a good nights sleep. Another aspect about sleeplessness and insomnia that is often overlooked is the nature of your sleeping environment. Ensure the bedroom is quiet enough with the right amount of light and temperature to help ease you into dreamland. If you can, remove all electronic gadgets from the bedroom that would serve as distractions, including computers and TVs. Ensure your beddings are as comfortable as possible. Invest in the best bed sheets you can afford, making sure to check out the infographic below for a guide on how to select the best bed sheets for your bed. A good number of people with sleeping problems will usually admit to irregular sleeping patterns. In many cases, it’s something like working late into the night on consecutive days in a week, then suddenly going back to the usual routine. Disrupting your body’s biological clock is one of the key reasons why people suffer from sleeping problems. Establishing a regular sleeping pattern will help tune your biological clock, ensuring your mind and body shut down at the same time every day. Ensure you go to bed at the same time each night, even when you are off from work. At the end of the day, getting the right amount of sleep is only part of the healthy equation. Stick to a healthy diet, exercise regularly, and avoid stress to ensure your body stays in good health.